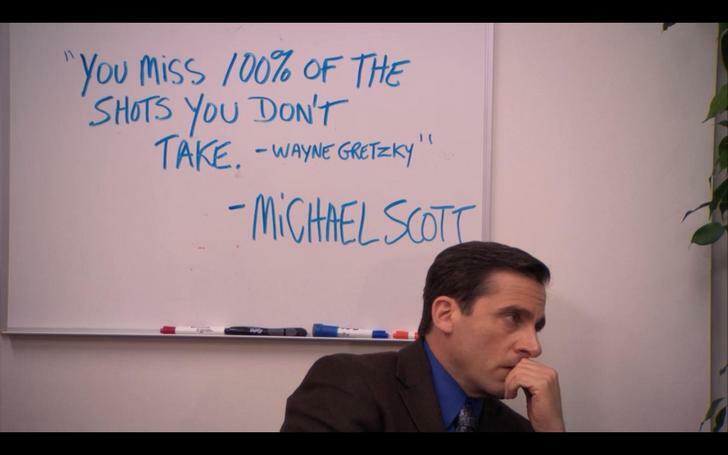 As a great man once said, you miss 100% of the shots you don’t take. Or, to put it in sales terms, you close 0% of the prospects who don’t hear from you. Anyone who relies on email to start sales conversations understands that follow-up is what separates success from failure. Instead of dropping some bogus stat about how nearly half of salespeople never follow up with their prospects, we’ll just say that a lot of sellers don’t do it, and they’re leaving money on the table. But look, we get it: Email follow-up takes a long time. Nobody likes to spend their day typing out follow-up messages to prospects who have been ignoring them. And it can be really hard to remember which prospect you need to check in with on a given day, especially in a high-volume sales operation. For those reasons (and more), Nutshell is proud to announce personal email sequences, a new feature available in Nutshell Pro that will help you save time, generate more replies, and capture more opportunities. What Are Personal Email Sequences? Personal email sequences let you personalize your sales outreach at scale and inspire more of your email recipients to take action. Unlike an email automation tool that mass-delivers the exact same message to a list of contacts, personal email sequencing is a sales automation tool that allows sales reps to build and customize one-on-one email drips, speeding up their outreach efforts and improving their reply rates. While many CRMs offer automated reminders that tell reps when it’s time to follow up with prospects, Nutshell’s personal email sequences follow up for you on the schedule you’ve set, without the need for reminders or additional effort. Just set up a drip sequence—or get started with one of our suggestions—and we’ll remember the follow-ups for you. Plus, personal email sequences are completely shareable. If anyone on your team creates a sequence template that works like a charm, it can be shared throughout the organization to immediately raise everyone’s game. Create an email sequence template that includes the first contact with your prospect and a handful of follow-ups. Nutshell will send each message in your sequence over the course of a few days; each message will look like it came directly from you. Once your prospect replies, Nutshell will automatically stop the sequence, and it’s in your court to continue the conversation. Nutshell will track your opens and measure your reply rate to help you fine-tune your sequences. By reducing the amount of time you spend drafting and sending email follow-ups, personal email sequences allows your team to spend more time on high-value activities like phone calls, personal demos, and client meetings. You have important things to do—let email work in the background for you. Nutshell’s personal email sequences look like emails sent from real person—not bulk emails sent from a marketing platform—which means your recipients are more likely to open them and respond instead of hitting delete. How well are your templates working to generate replies? Nutshell measures your email health and reply rates so you can analyze effectiveness and test improvements. Success shouldn’t be a secret. 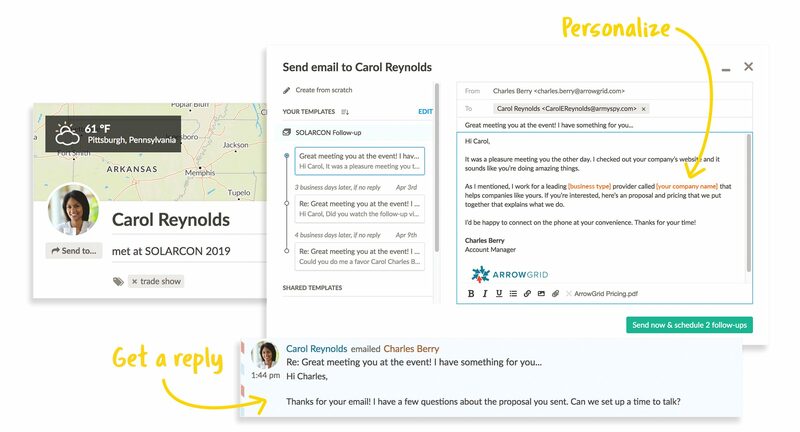 With personal email sequences, you can easily share your best-performing templates with the rest of your team so that new employees can learn what works and every member of your team can use the sequence that draws the most replies. Mass emails get caught by spam filters all the time, which means most of your contacts never actually hear from you. Since Nutshell’s automated follow-ups are sent through the same servers as your personal email, they have a much better chance of hitting your recipients’ inboxes and capturing their attention. Instead of spending more of your company’s software budget on a dedicated email sequencing solution, Nutshell now provides a lightweight answer to scaleable email personalization, allowing you to do even more out of a single, affordable tool. If you’re a Nutshell Starter user and you want to learn more about personal email sequences and other game-changing Pro features, watch the video here and email support@nutshell.com for further guidance. If you’re not a Nutshell customer…welcome! Start a free 14-day trial to start exploring all the amazing features of our award-winning CRM and sales automation platform, or register for our “Intro to Nutshell” live demo to see it in action. Learn the email tactics that B2B sales pros use to hook their customers.